Formal contract between county and regional water board allows Marina del Rey copper reduction plan to move forward. LOS ANGELES — An agreement between Los Angeles County and the Regional Water Quality Control Board to develop a sediment management plan for Marina del Rey’s Total Maximum Daily Load (TMDL) was approved Jan. 17 by county supervisors. The approved Memorandum of Agreement, or MOA, allows for a Contaminated Sediment Management Plan (CSMP) to be developed as part of Marina del Rey’s established TMDL restrictions. County officials must submit the developed CSMP by Dec. 31, 2019. Having a CSMP in place helps county officials identify highly contaminated areas or copper pollution hot spots. These identified hot spots would be prioritized for management and action. The MOA was supposed to be finalized by October 2016. Approval of the MOA three months after the deadline subject Los Angeles County to a cleanup and abatement order. However county staff stated the regional water board needed additional time to review terms of the agreement before allowing it to be approved by supervisors. “Additional time was required by the regional [water] board to review the agreement, and the regional [water] board has informed [county staff] … it still considers this agreement timely, and will not pursue a cleanup and abatement order or other regulatory order [once] this agreement is approved,” county staff stated. 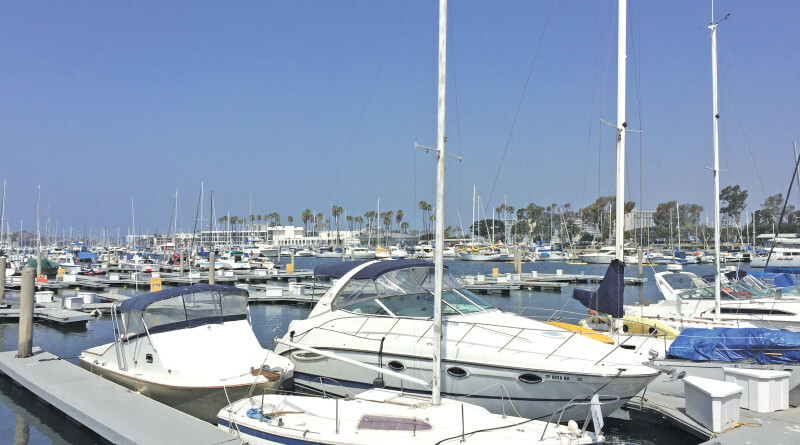 Addressing copper pollution hot spots through the CSMP would, county and regional water board officials hope, help Marina del Rey meet its TMDL goals. The Los Angeles Regional Water Quality Control Board specifically mandated an 85 percent reduction of copper levels in Marina del Rey waters within 11 years. Bottom paints from the hulls of recreational boats are the main target of the regional water board’s mandate. Copper regulations in local harbors have been a controversial topic in recent years. San Diego’s Shelter Island has been subjected to a rigorous copper reduction plan since 2005. In June 2016 the Port of San Diego reported a 40 percent reduction in copper levels at the Shelter Island Yacht Basin. San Diego’s Regional Water Quality Control Board mandated Shelter Island to reduce copper levels by 76 percent before 2022, which is five years away. A similar TMDL plan could be in store for Newport Beach’s harbor area, but city officials and local boaters recently questioned the basis of the local water board’s high copper level findings.